The Walter H. Shorenstein Asia-Pacific Research Center (Shorenstein APARC) in the Freeman Spogli Institute for International Studies at Stanford University is pleased to announce a Postdoctoral Fellowship in Asian Health Policy for 2011-2012. The Postdoctoral Fellow will participate in the Center`s Asia Health Policy Program while completing his or her own research on contemporary health or healthcare in two or more countries of the Asia-Pacific, including the social and economic implications of population aging. We welcome applications from junior scholars (Ph.D. conferred after 2008 and by August 30, 2011)) from a variety of disciplines, such as demography, sociology, political science, economics, anthropology, public policy, law, health services research and related fields. 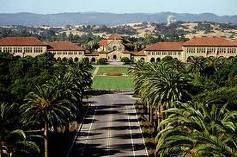 Demikian kami sampaikan tentang Postdoctoral Fellowship in Asia Health Policy, Stanford University, USA semoga informasi tentang Postdoctoral Fellowship in Asia Health Policy, Stanford University, USA ini bermanfaat.